Comments: Comments Off on Joey Bosa is off my draft board. Joey Bosa is off my draft board. Like most Ohio State fans, I was disappointed at the loss to the Spartans. 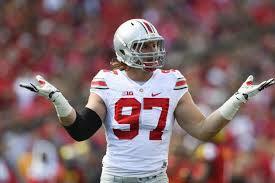 But more than anything else I was shocked to see Joey Bosa fail to perform in the 1st big game of the season. For those of us that are draft-nicks, one thing that predicts failure in the NFL is failure in big games in college. A stiff can look good playing against the Sisters of the Perpetually Miserable. But how a player preforms against a big time opponent has always been an indicator of how that player would fair at the next level. Bosa did nothing in the MSU game. That is all I needed to see to take him off my board. He might turn out to be a good or even great player. But I can not risk taking a player like that with a top 5 pick in the draft. Samantha Bunten of NBC Sport and I wish each of you a wonderful Thanksgiving. Comments: Comments Off on Scouting: Why do so many NFL teams have weak O lines? Scouting: Why do so many NFL teams have weak O lines? NOTE: On NNR Samantha Bunten of NBC Sports and I discussed the news of the day, the Browns Titans game and every other game from Week 2. Check it out on https://fryingpansports.com/radio-show/. Thanks for your support. No one would deny that the QB is the most important position in the NFL. And yet so many teams are struggling protecting the QB. One thing that can help a QB most is a solid running game but again without a strong O line it is hard to generate one. Many of the problems of the NFL can be directly traced to the rise of the spread offense in college football. The problems finding quality O line candidates is one of them. In the spread offense, the college O lineman is almost always blocking 1 opponent. The splits (distance between O linemen) are so large that few college defenses even try to run tackle/end games in which the DT attacks outside and the DE comes inside. As a result, the O line face only 1 guy to block. That means that the pro scout does not get to see the O lineman’s footwork or ability to slide. The passing game at the college level is based on a shotgun formation and very quick release. A college O lineman need only brush most D linemen to keep the quarterback upright. There is also a significant weight advantage for the O lineman in college. The college D linemen are often in the 250 pound range while the O linemen tips the scale at around 300. In the run game college spread offenses seldom use combo blocks. That makes it harder for the pro scout to figure out which O linemen can combo block and then move to the 2nd level of the defense to block a linebacker. Those college offenses that use a more pro style O will get more O linemen selected earlier in the draft because it is easier for the scouts to tell if they will fit into the pro game. But with more teams going to the spread/hurry up systems, the pro game will find fewer and fewer quality O linemen in the future. 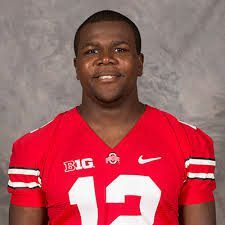 Are the Browns looking to draft Cardale Jones next year? Note: On NNR today Samantha Bunten of NBC Sports & I previewed the AFC and NFC Championship games including my picks against the spread. Also today College Insider Kelron Sykes and I discussed the NCAA Championship game and some of the NFL news. The podcasts are both on https://fryingpansports.com/radio-show/. As I said a couple of weeks ago the Browns are between a Rock (Brian Hoyer leaving) and a hard space (Johnny Manziel) at QB. Manziel’s start against the Bengals made the first trip of the Titanic look like a nice cruise. While it gave the front office huge doubts about the QB, it was also an indictment of both the previous OC and QB coach. It is not good news for Johnny when the season wrapup on sportsxchange.com listed undrafted rookie free agent Connor Shaw as the starter over the 1st round pick. Frankly, Shaw looked like he was much more NFL ready in his start against a better defense than Manziel did. As I said many times, if the player is not willing to put in the work necessary to be successful, it doesn’t matter how good the QB coach is. I have no faith in Manziel learning the playbook of the new OC. He never bothered to learn Kyle Shanahan’s offense so what makes us believe that he will put in the time to learn the new one? The schedule will be much harder next season because the Browns will face the AFC and NFC West divisions in addition to the six games against the AFC North. Now there is talk about the Browns doing everything they can to trade the Bills pick (19) to a team that wants to trade up. 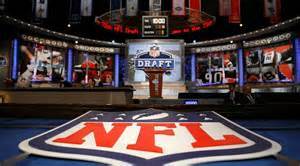 The goal is to get a 2nd 1st round pick for the 2016 draft to take QB Cardale Jones of Ohio State. Frankly if Manziel starts the 2015 season for the Browns, they likely will not need a 2nd round 1 pick because they will be near or at the top of the 2016 draft. How does 3-13 sound to the Browns fan base?